NEW DELHI: Idea Cellular, the country’s third largest telecom operators, has expanded its high speed 4G LTE services across 37 towns of Andhra Pradesh and Telangana. Within less than two months the company has expanded its 4G LTE service footprint to 20 districts, including major towns of Hyderabad, Vijayawada, Vizag, Warangal, Kakinada, Nalgonda, Kadapa, Kakinada and Tirupathi, covering 18% of the total population of the circle. In addition to Hyderabad, Idea has today launched its high-speed 4G LTE services in other towns of Kodur, Anakapalli, Kothakota, Jadcherla, Armoor, Narsampet, Renigunta, Rudraram, Palamaner, Narsipatnam, Tekkali, Yellamanchali, Gajwel, Ghatkesar, Pileru, Metpally and Ananthapur. With rapid expansion Idea will launch its 4G services in Nizambad, Karimnagar, Nellore, Kurnool, Khammam, Srikakulam and 78 more towns by end of this financial year, taking the total tally to 121. In December 2015, Idea Cellular launched 4G LTE services in all 4 telecom circles (5 states) of South India, namely Kerala, Tamil Nadu, Andhra Pradesh & Telangana, and Karnataka. Earlier this month, the company launched services across 4 more circles (5 Indian states) – Madhya Pradesh, Chhattisgarh, Haryana, Punjab and Odisha, expanding its 4G LTE service footprint to 8 telecom service areas. “Since the last week of December 2015, Idea has rapidly rolled out its high-speed 4G LTE network to cover 8 major markets in India. By March 2016, our services will extend to 2 more key markets namely, Maharashtra & Goa, and North East, and by June 2016, Idea’s 4G footprint will cover 750 cities across 10 telecom circles,” Ambrish Jain, Deputy Managing Director, Idea Cellular said. 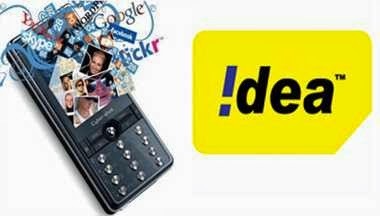 Idea Cellular currently holds 1800 MHz 4G spectrum in 10 Telecom circles which cover 50% of telecom market but over 60% of Idea’s gross revenue. “Idea customers with 4G devices in these towns can now start experiencing superfast speeds by simply upgrading their existing SIM cards to new 4G SIM cards. Idea has also partnered with leading handset manufacturers and e-commerce retailers for special data bundling offers on new 4G smartphones,” Sashi Shankar, Chief Marketing Officer, Idea Cellular said.